BERA is dedicated to supporting and promoting teacher research. We believe practitioners, academics and policy makers must collaborate to help shape a future curriculum in schools. As part of our commitment to support teachers all participants on the CCT Chartered Teacher Programme receive free BERA membership. 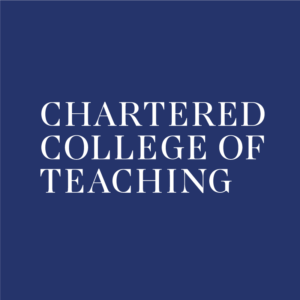 The Chartered College of Teaching aims to raise the status of the profession and support teachers to acquire the expertise necessary to maintain excellence in teaching and secure the best outcomes for children and young people. Our Chartered Teacher programme, offering an accredited, career-long, professional development pathway, is central to achieving this goal. Chartered Teacher Status will recognise the knowledge, skills and behaviours of excellent teachers, highlighting the importance of their expertise in supporting the learning of children and young people and representing the first step in the development of a career pathway focused on effective classroom practice, not leadership. It will also bring teaching in line with other professions, where recognition of expertise and expectation of career-long professional learning are well-established. Submission of a portfolio of videos of practice, work samples and reflections. The ability to use the postnominal ‘CTeach’ once Chartered Teacher Status is awarded.